Several Morning Joe Hosts on Friday asserted they believed White House counsel Kellyanne Conway to be the author of the scathing New York Times op-ed that claimed members of President Donald Trump’s administration were actively preventing Trump from drastic or potentially damaging actions. The unknown op-ed author accused the president of being amoral while claiming to be part of a “resistance” against Trump. 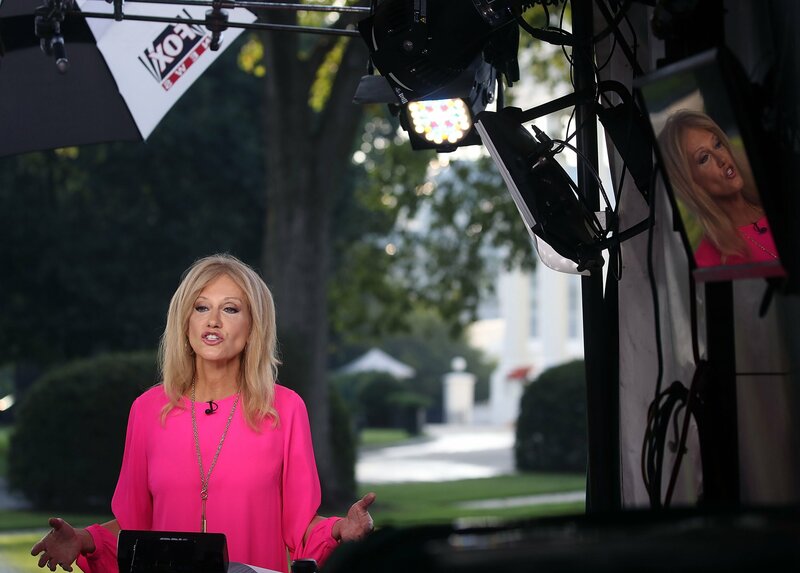 Morning Joe contributor John Heilemann noted a piece by Esquire that suggested the op-ed had a more feminine tone, and Heilemann pointed to Conway’s politically savvy nature to perhaps point the finger at Vice President Mike Pence. Pence was floated as a possible author since he had used the word “lodestar” in speeches before, unlike anyone else in the administration. But the vice president has denied authoring the op-ed. He also pointed to Conway’s controversy with her husband George, who previously supported Trump but has since accused the president of corruption and other charges while damning Trump on Twitter. Co-host Joe Scarborough, who often had Conway on the program during the 2016 campaign, agreed and suggested her behavior off-camera indicated she did not enjoy working Trump. Conway, along with every member of the president’s cabinet and other top administration officials, has denied penning the op-ed. But Conway has been accused by enemies of leaking information to the press in order to thwart others in the White House, as have advisers Ivanka Trump and Jared Kushner and former chief political strategist Steve Bannon. The op-ed writer had stated there were “whispers” around the cabinet about perhaps invoking the 25th Amendment due to Trump’s behavior. The amendment calls for most of the cabinet and the vice president to agree the active president is not mentally capable of serving.